President Bush on Tuesday signed legislation creating a national "do-not-call" list intended to help consumers block unwanted telemarketing calls. The bill allows the Federal Trade Commission to collect fees from telemarketers to fund the registry, which will cost about $16 million in its first year. The do-not-call program should begin operation by summer. Telemarketers say the registry will devastate their business. The Direct Marketing Association, an industry group, filed a lawsuit against the FTC last month on grounds the registry unlawfully restricts free speech. Consumer groups and many lawmakers say the registry has overwhelming support from a public that is fed up with unwanted telemarketing calls. Consumers could enroll in the free service via the Internet or a toll-free number. 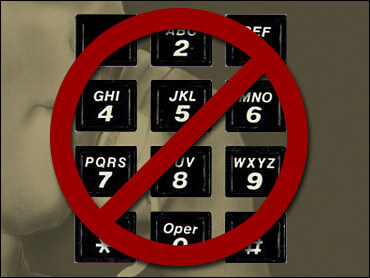 Telemarketers would have to check the list every three months to find out who does not want to be called. Those who call listed people could be fined up to $11,000 for each violation. Charities, surveys and calls on behalf of politicians would be exempt. The FTC has limited authority to police telemarketing calls from certain industries, including airlines, banks and telephone companies. The Federal Communications Commission, which oversees calls made by those industries, has been working with the FTC and is considering adding its clout to the program.